I can’t believe it’s Christmas Eve already! 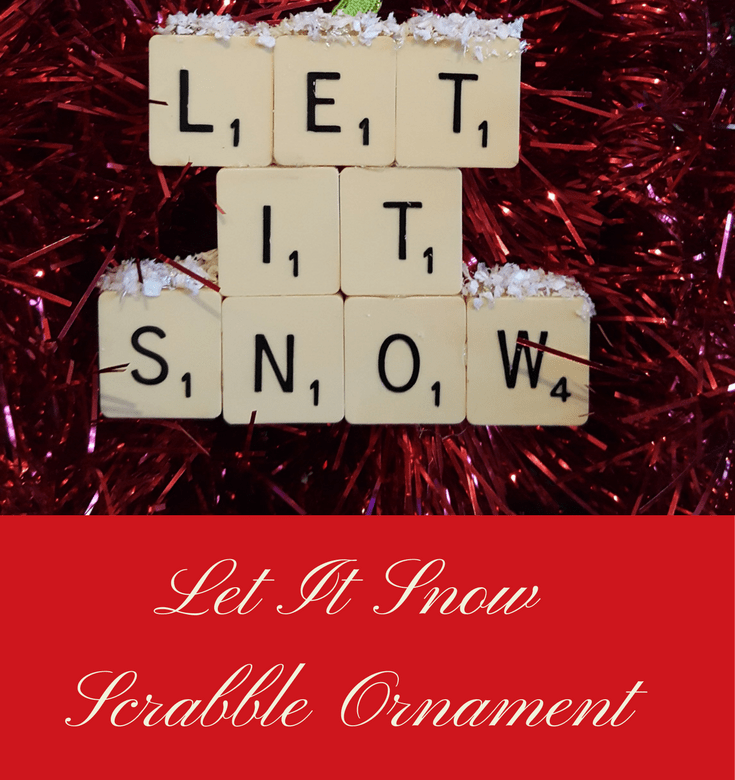 For our final #24XmasCraft advent tutorial, we made a Let It Snow tree ornament using Scrabble tiles. Draw around the scrabble tiles as in the photo below. Stick the Scrabble tiles onto the plain side. I found using a hot glue gun worked best. Bend each row apart so you can glue in between the tiles. Glue the ribbon to the back. If you want to cover the ribbon, cut another piece of card, the same size as before and glue it to the back, over the ribbon. Put glue on the top of each row and sprinkle the fake snow onto the glue. When the glue is dry, hang on the tree. I hope you’ve enjoyed our #24XmasCraft advent tutorials. We had great fun making everything.